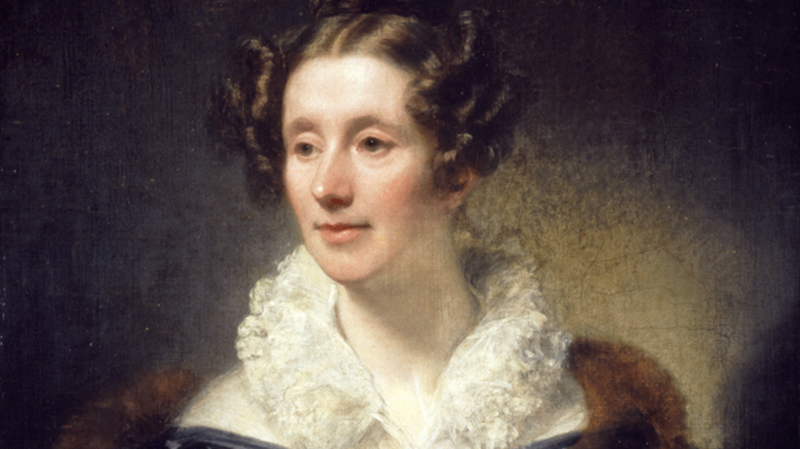 During the 19th century, Scottish mathematician and astronomer Mary Somerville made history by aiding in the discovery of Neptune and becoming one of the first women to be inducted into the Royal Astronomical Society. Now, 144 years after her death, she's making history again by becoming the first non-royal woman to appear on a Royal Bank of Scotland (RBS) note, the Independent reports. Somerville was up against two other famous figures for the spot on the RBS's new plastic £10 note. Physicist James Clerk Maxwell and civil engineer Thomas Telford were also in the running for the honor, and votes were cast by the public via Facebook likes, The Guardian notes. The pioneering astronomer was the ultimate winner—even though she technically came in second place. According to the BBC, an RBS spokesperson said Somerville was in the lead for most of the competition but an outpouring of votes knocked her from the top spot on the final day. Telford ended up with over 5000 votes, but further investigation showed that only 700 of those were cast by Facebook users in the UK. A large portion of the remainder was likely the the work of automated "likebots" programmed to like certain posts. If someone did spam Telford's picture with the intention of sabotaging Somerville, they were unsuccessful. In all the Royal Bank of Scotland's nearly 300-year history, the scientist will be the only woman other than the queen to appear on one of their widely-circulated bank notes. The new notes are expected to appear in circulation in late 2017.